Referring to the sweet soup , people usually think of a big glass of sweetened porridge ,stones are smashed to pieces, and the people are feeling cool, not feeling hot. However, in Hanoi, everybody still inviting one another to eat some sweet soup in the winter. These sweet soup usually have common particular traits, they are not too sweet,you can eat when a recently cooked sweet soup. Furthermore, the sweet soup has a tendency to cook specially in the winter .It seems to be attractive dish. 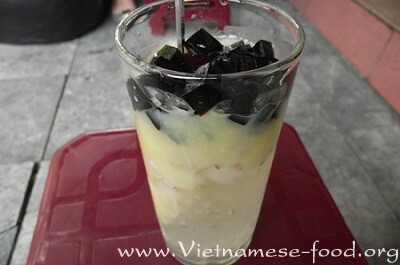 Many people usually look for the steamed sticky rice and sweet soup when the weather is cold. A strange dish is similar Ha Thanh cuisine . 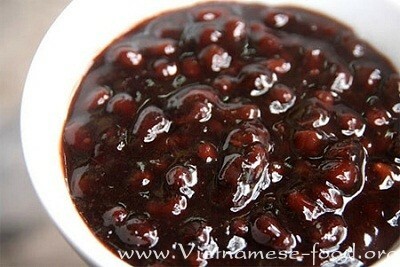 You can eat Steamed sticky rice with sweet black bean soup. The sweet soup is both soft and plasticity .It has scent of ginger. This is an unique dish in the winter. 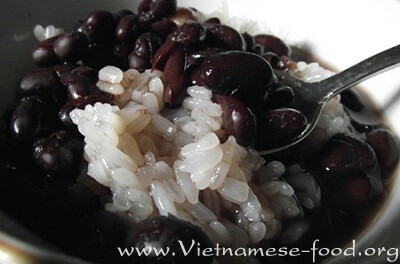 Beside the glutinous rice cooked with split peas,sweet black bean soup,sweet lotus seed soup, also "attract tourists" in the days become chill. Black beans are stewed skillfully , so that beans still are intact but the inside of black bean still is easily breakable. Before bring it from the stove, it is added some tapioca . So dish is both cool and good for heath. The pot of sweet black bean soup is kept warm. Do not eat sweet soup by the glass but eat it by the white porcelain bowl. With Lotus Seed Sweet Soup, beans and lotus seeds are stewed then they are rolled small. 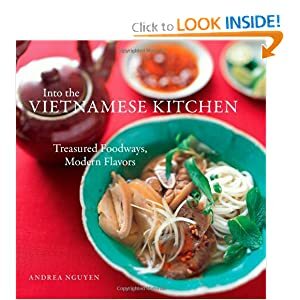 Adding the cassava flour, the pot of sweet soup is thick, it seems to cut it as small pieces. Customers call sweet soup, sellers add a glass of ice is crushed, add a little sweet lotus seed soup then they ladle out a spoon of sweet soup looks like delicious. The sweet green bean soup with lotus seed No. 4 Hang Can has well-known many years ago. Eating the sweet green bean soup with lotus seed in this restaurant, visitors enjoy soft mochi (gạo nếp)and greasy copra. No furnitures, no billboard, the sweet soup shops in the winter in HaNoi sometimes just only a bamboo frame (quang gánh), a few pots (nồi) are put on seller shoulder .However, sweet soup on the street is become friendly with visitors come to HaNoi . In the cold weather , everyone gather a crowd round small chairs,you can taste aromatic flavour of sweet soup , they can find a gift of HaNoi makes man's heart is cosy in every season.